This contest is now closed. Stay tuned for the winner announcement. Thank you all so much for entering! We are pleased to be giving away three books of poetry in honor of National Poetry Month1 to two winners. Both winners will receive a copy of my own book, Poetry of a Hobo Mama, by Lauren Wayne, which focuses on the realities of attachment parenting, and the grand prize winner will also receive Rose, a lovely collection by Li-Young Lee. 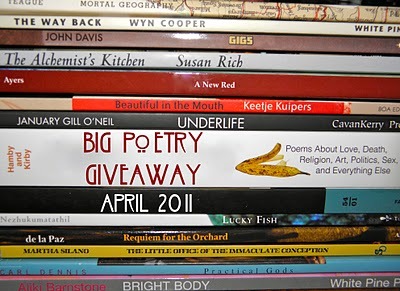 The Big Poetry Giveaway 2011 is hosted by Kelli Russell Agodon of Book of Kells, and NPN is happy to be participating! The idea is to give away at least one book of your own poetry and one book from a favorite poet. “Divided into sections: Prepare, Emerge, Hope, Trust, Enjoy, this collection of poems follows the personal journey of one mother, through her first three years of motherhood. Poignant and real, told with honesty and a wonderfully wry sense of humour she shares: the rawness and longing of miscarriage; the practicality of planned conception; the desolation of death; a celebration of pregnant voluptuousness; the claustrophobia of new motherhood. As well as natural parenting topics which may never have been poemified in the whole of human history: elimination communication, sling-wearing and co-sleeping! comes, a faint, human musk. 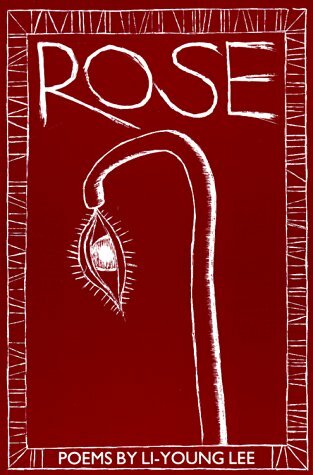 You can purchase Rose, by Li-Young Lee, at Amazon ($10.54 and eligible for free Super Saver Shipping) and Barnes & Noble ($14.92 and eligible for free shipping). For your own chance to win up to two poetry books, enter in the comments OR Google form below! Contest is open worldwide. The grand prize winner will win BOTH Poetry of a Hobo Mama, by Lauren Wayne, and Rose, by Li-Young Lee. MAIN ENTRY: Simply leave a comment! Yes, it’s that easy. Link to a poem you love online — your own or someone else’s — so we can all enjoy it. 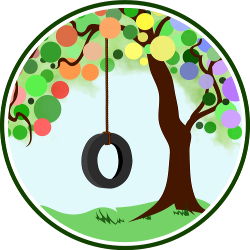 Join us in the April Poem a Day Challenge. Yes, it’s all right if you’re starting partway through the month! Just jump in and say you are. Tell us whether you prefer the Google form or comment entry system and why. Post this giveaway on your Facebook page or wall and leave the link (up to 5 times total, at least 24 hours apart). You can use this status update: Let’s celebrate National Poetry Month! 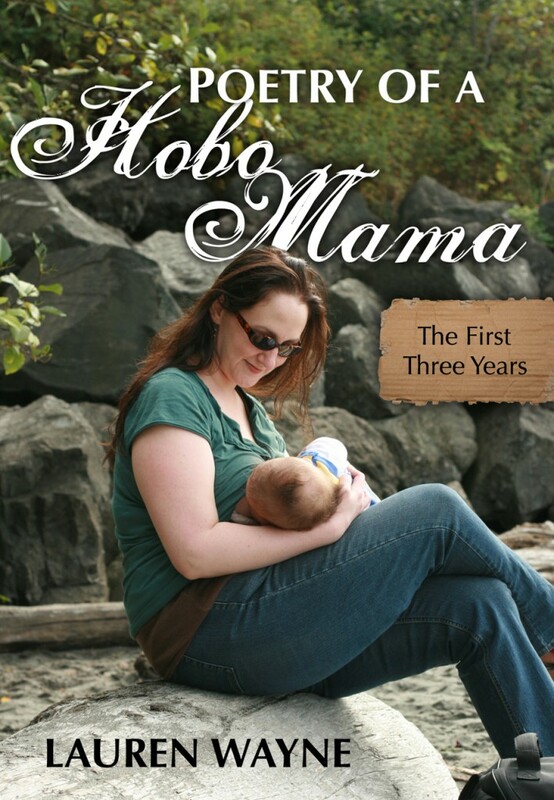 Win up to 2 parenting-friendly poetry books from @Hobo Mama and @Natural Parents Network. Contest ends April 30 and is open WORLDWIDE. If you are commenting, leave each entry as a separate comment so we can count them all. If you are using the Google form, you may resubmit it for additional entries like Tweeting and updating on Facebook as needed. You don’t have to do any of the bonus entries, and since the mandatory one is so simple, any comment will count as your first entry. Disclosure: Our reviewer is paying the cost of the books and shipping. I prefer entering comments – the form seems to be a hassle. I’d love to win this. I love poetry, but it seems like I’m reading more Dr. Seuss poetry than anything else anymore. I’d love to read some great motherhood-inspired poetry! This would be great summer reading – thanks for hosting! I’ve always liked the comments better, not sure why, they are easier to fill in info, I guess. would love to win, thank you for the giveaway.